Quilty Habit: Welcome, Sew Biased Fabrics + Giveaway! 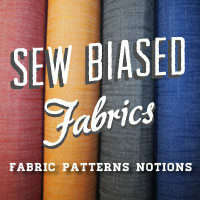 Today I'm welcoming Sew Biased Fabrics as a new sponsor of Quilty Habit! Dixie lives in Texas and has been the proud owner of the shop since 2014. Sew Biased Fabrics specializes in apparel/garment fabric, and quilting cotton is coming soon, too! This is the perfect time to use apparel fabric because it's Me Made May (#mmmay16), the month when sewists celebrate and wear their handmade clothes. I just wrote all about Me Made May in this weekend's issue of The Wonky Press - take a look! At Sew Biased Fabrics, you can choose from a wide array of chambray, double gauze, voile, linen, lawn, denim, eyelet, flannel, and knits. Remember, all of these fabrics can also made into quilts, if you are strictly a quilter! I sewed an all-voile quilt (except for binding) a couple of years ago and it's easily my favorite quilt to cuddle with (see below). Fat quarter bundles of double gauze - perfect for a quilt. I am in love with those new Birch Fabrics pluses! Read more about my all-voile quilt here. It's amazingly soft! 1. You can pick up any one (or several) garment patterns from independent sewing companies, books, and notions. I really want to try Cashmerette's Appleton Dress! 2. Shipping is free for U.S. orders at or over $65! That's super convenient. 3. Dixie features a Flash Sale daily right here! Today, it's coloring books (like Cotton and Steel)! So many great Top patterns to choose from! Plus, patterns are available for all ages and sizes. To celebrate our new partnership, Dixie is offering a giveaway to a Quilty Habit reader. Note: Dixie is willing to split the 3 yards into 1/4 yard increments for the winner, if they would like to choose several prints. Again, perfect for a quilt! You can have one entry for each of the following 3 - just leave a separate comment for each one! Sign up to receive Sew Biased Fabrics' newsletter at the bottom of the homepage. 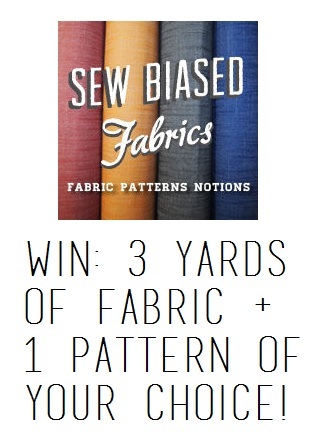 Visit Sew Biased Fabrics and tell me which fabric(s) you would want to win. I wore my voile Socialite dress (pattern by Anna Maria Horner) to a lecture I gave at a quilt show this weekend - more about that soon! Yay handmade clothing! This giveaway will end on Monday 5/9/16 at 7 pm EST. I will chose the winner using the Random Number Generator and email them; please make sure you leave your email address if you are a no-reply commenter. If I can't find your email, you can't win! Good luck in the drawing and thank you to Sew Biased Fabrics! P.S. You can always read more about my sponsors and disclosure here. I follow Quiltyhabit on bloglovin! I definitely want to try and make my own clothes. I have the dress form and the tools and the fabric - I just don't have the courage! I would love a great pattern for a top to start with to develop some confidence. I love the bespoke double gauze in Aqua. I don't know a lot about clothing fabrics but I feel like that would make an awesome top for summer. Follow on Blog lovin ! Love Free Spirits "Essential Linen" in Vanilla ! Thanks for sharing ! Mod Basics 3- especially spark! I love the mint and teal colors. I am a Quilty Habit follower on Bloglovin and IG! I'd really like to try some double gauze fabric and Cotton + Steel's Bespoke Double Gauze - in Spark Coral really caught my eye! That's one fabric I'd choose from Sew Biased! I have been following you with GFC. I signed up for the Sew Biased Fabrics newsletter. I really like the Clipdot in Cream. oh man there's way too many choices to pick from! Okay but I think I'd want to get some Bespoke Double Gauze for a top. I am following via blog lovin. Jess I love the Wonky Press! Following you via Bloglovin,and email. Double Gauze "Flight" in Navy by Birch Fabrics, as I've never sewn w/it. 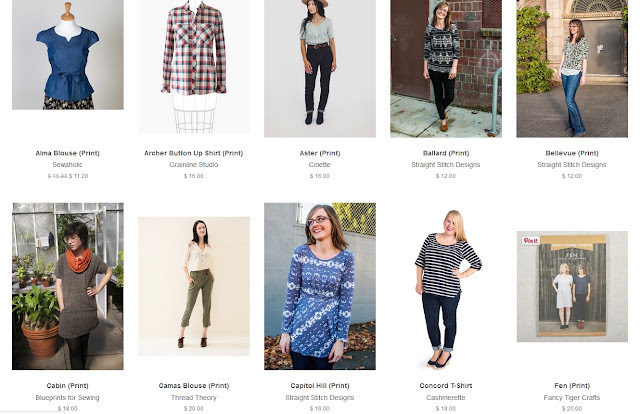 Sounds exquisite:)The Capitol Hill tunic/top is me, pattern of my choice. Thank you. Already a subscriber of Sew Biased newsletter. TY. i follow on instagram @bumblybzs! i'd love to try sewing with some voile or double gauze - either in a garment or quilt! some great choices in the shop- Bespoke or wild & free. It's great to find a site that carries fabrics for garment sewers. I love their Revelry voiles. I love the complete line of Bespoke Double Gauze by Cotton + Steel. Thanks! My fabric choice would be the Designer Essential Linen in PLUM....scruptious! Hi Jessica, I follow you by email and get the Wonky Press. Your efforts are much appreciated. I receive the Sew Biased newsletter. So exciting that you are now sponsored by them. Love the cotton linen and the embroiderer eyelet @ Sew Biased. I follow Quilty Habit via email (wordygirl at earthlink dot net) and am so happy I do! If I am the lucky winner, I'd likely choose some linen, because I love to make wall-hangings with linen, and then--being brave because Jessica says one can quilt with voile (and I trust you, Jess! ), I'd pick a bit of Wild and Free Voile--Midnight Roof and Hello Bear Voile--Timberland Trunk to wrap our new nephew in, when he arrives later this year. Doesn't that sound buttery and gentle on his brand-new self? I love Cirrus Solids bundle the best. I like the Serengeti Gauze. I signed up for Sew Biased Fabrics' newsletter. I'm going to stock up on some flannels. I love Nurture Flannel - Feathers in Mineral. Your voile quilt is gorgeous! Thanks for the inspiration! I'd love to try voile or double gauze for quilting. I follow you on Bloglovin. Great fabric selection! My favorite fabric is the Flight double gauze in dusk. I already get the Sew Biased newsletter. Thanks for the chance to win! I get your newsletter(s) via email (did you know you've actually sent a whole bunch of blog posts just today? They were dated back to beginning 2016 and were collected in one single email. I loved reading them, but it may not have been your intention to do so, so Im just mentioning!). Thank you for this wonderful giveaway and congrats with the new sponsor. I loved looking around at Sew Biased. They have such wonderful voile fabrics! I especially adore the Anna Maria Horner voiles. I love that theyve ordered it by color! i love the cloud 9 cirrus solids fat qtr bundle at sew biased. i subscribed to sew biased's newsletter. And I would probably pick up some Art Gallery fabrics, maybe some of the knits! I haven't yet ventured into sewing with knits, but I've been wanting to. Hi Jess! I follow you on Instagram and Periscope & subscribe to the Wonky Press. If I win I'd get some of the yummy Wink double gauze for baby blankies for two new babies in my family. Now subscribed to Sew Biased newsletter. I follow Quilty Habit and The Wonky Press via email--and love 'em! Oooh! They've got a lot of great fabric. I've been thinking about making a couple infinity scarves and the Wildland Archery double gauze fabric by Birch is really perfect. Thanks for the giveaway, Jess! I follow Quilty Habit on Instagram. Difficult choice but I would pick the Bespoke double gauze Spark in coral. I love the Cotton and Steel double gauze! Mod Basics 3, Wink in Dusk....YUM! I like the wink double gauze. I agree with you on wanting the birch double gauze. Their mod basics are so good! Oh, and I am loving your blog, so signed up for your newsletter. I follow Quilty Habit via Bloglovin and receive the Wonky Press by email. I enjoy both yoour blog and your newsletter. Keep being creative. I signed up for Sew Biased newsletter. From Sew Biased I would be interested in linens and knit fabrics. I spent most of my years in front of a sewing machine making clothing. Last year I bought so many maxi dresses that I thought to myself, I need to sew clothing again. 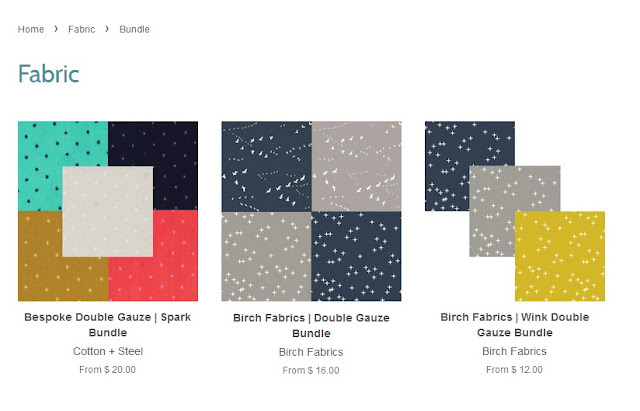 I follow Quilty Habit via e-mail, signed up for the newsletter and would love to get three different flannel fabrics, especially the Feathers in Mineral! I follow Quilty Habit via email. I would like to get some fabric to sew a maxi dress for myself. Thanks for the chance! Can't wait to get my first newsletter! Wink in mint knit all 3 yards, it would make such a pretty dress! I'm a Bloglovin follower; Nicole Sender! Signed up to receive Sew Biased Fabrics' newsletter! I like the Birch Fabrics Mod Basics 3 | Knits | Wink in Marigold. Eeeks! I almost forgot to enter! I follow QUilty Habit on Blogger. I love the touch of pink/purple in the Bespoke Double Gauze - Spark Navy! I would try to make the Sailor Top with it!